While visiting Julian “Rat” Perkins, the 16-year-old boy with whom she survived a terrible ordeal, Maura Isles is startled to learn that all the students at Evensong are survivors of violence. Isolated in the Maine wilderness, the boarding school teaches its students the science and investigative skills needed for a high-level crimefighting career. Meanwhile in Boston, Detective Jane Rizzoli investigates the murder of Teddy Clock’s foster family, a slaughter that only Teddy survived. 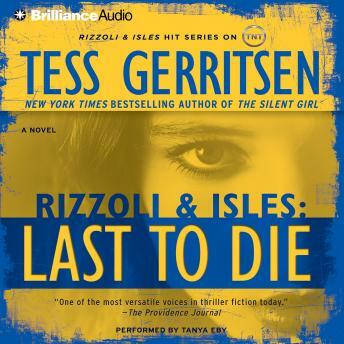 When Teddy is also threatened, Rizzoli hides him at Evensong. But she and Maura discover that even the secluded school cannot shut out a gathering threat, and that the key to the murders is within its gates.